I am glad to welcome you at the official website of the City of Banja Luka. I believe that the website will be a useful source of information about Banja Luka, events in the city and everything else that our city has to offer. This portal is intended for citizens, entrepreneurs, investors, guests and others who want to know more about the city on the Vrbas River. Banja Luka will continue to develop as an open and friendly city, a regional center whose aim is to develop its economy and entrepreneurship. Banja Luka is a pleasant place for living with a distinct lively appeal for its visitors. My wish is that our Banja Luka becomes a city where all generations will be offered good living conditions and opportunities for progress and prosperity. In order to achieve this, we need an articulated goal, realistic approach, commitment, energy and time. In the following four-year mandate, I will try, hopefully with your assistance, to do what is best for our city. Hence, I am open for all your questions and initiatives that you can send via this website. Your feedback on any new project or a change that needs to be implemented will be very important to me as life is a stream and progress can’t be achieved without constant moving forwards and creating new ideas. We are open for cooperation, because this administration will, first and foremost, listen to the needs of its citizens, but also of those who want to invest and do business in Banja Luka. Decent and fair attitude should bring new energy to our city that will help us on our way to development. Igor Radojičić was born in 1966 in Banja Luka. He holds a master’s degree in electrical engineering. He completed a primary and secondary school in Banja Luka as the best student in his generation, and the Faculty of Electrical Engineering in 1991 in Banja Luka, also as the best student in his generation. He attended his post-graduate studies at the Faculty of Electrical Engineering in Belgrade and defended his master’s thesis in 2001 at the Faculty of Electrical Engineering in Banja Luka. He was elected as an assistant professor at the Faculty of Electrical Engineering in Banja Luka for the first time in 1991 and as a senior assistant professor in 2002. He was also an associate lecturer at the Faculty of Science and Mathematics in Banja Luka and at the Technical College in Doboj. As an author and co-author Radojičić published one book and presented 14 scientific papers in the field of automatics, bio-medicine, signal processing and theory of chaos at international conferences in Serbia, Montenegro, Croatia, Italy, Austria, the Netherlands and the Czech Republic. With regard to his political career, he performed various duties, from the membership in different bodies and the Presidency of the Union of Socialist Youth of BiH in the end of the 1980s to the Secretary General and Vice-President of the Alliance of the Independent Social Democrats. He was elected as a Member of Parliament of the Republic of Sprska for the first time in the 1998-2000 term, and then again in 2002 until the moment of assuming the post of the Mayor of the City of Banja Luka. 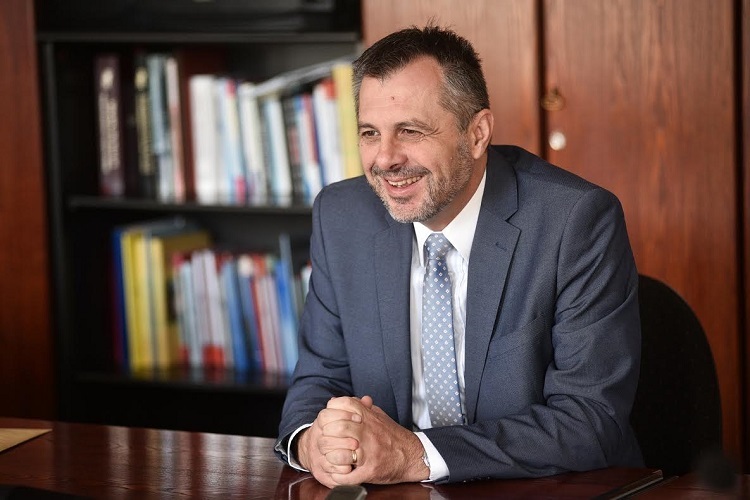 During his mandate in the National Assembly of the Republic of Srpska, Radojičić was a Chair and Vice-Chair of the Caucus and a Chair of the Committee on Foreign Relations. He was elected a Speaker of the National Assembly for the first time on February 28, 2006, and again in November 2006 and 2010. He was elected as a Chair of the Municipal Committee of the Alliance of the Independent Social Democrats on 21 December, 2013. Mayor Radojičić has been decorated with a medal of St. Sava of the First Order by the Serbian Orthodox Church, with the Russian Decoration of Peter the Great and with a Medal for Military Merit by the Republic of Srpska. He is married and a father of two. Radojičić is fluent in English and French languages.